The holidays are just around the corner, which means you’re probably making a list and checking it twice. But what if you could check names off your list and make a difference—all while getting your holiday hair done? Aveda is a cruelty-free company, so it doesn’t animal test—ever. Plus, their products are naturally derived using ingredients from plants, non-petroleum minerals or water, which is better for you and the environment. Aveda products are even packaged using recycled materials, and manufactured with 100% wind energy. 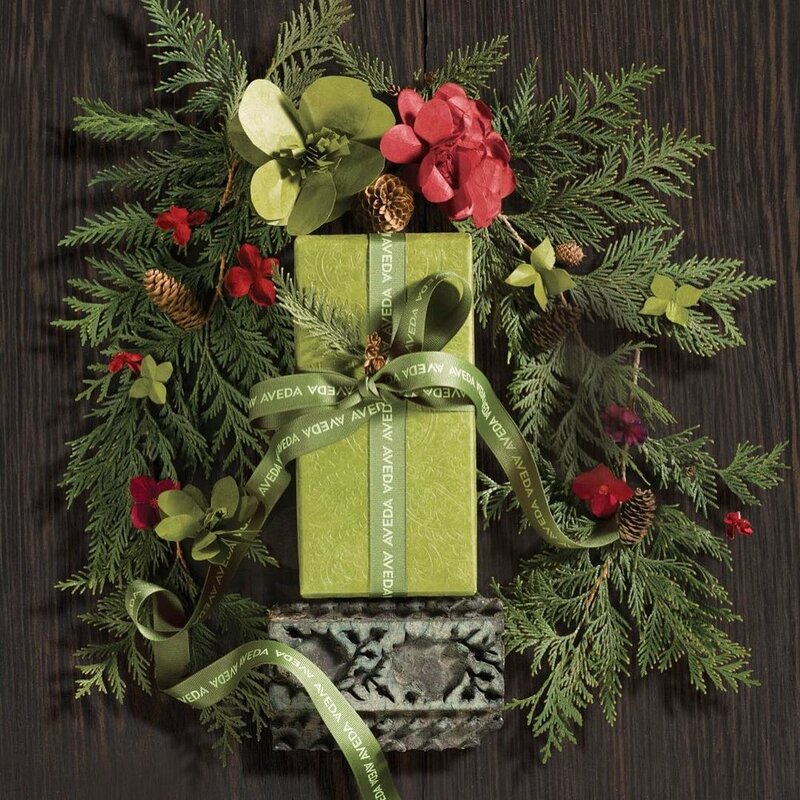 Each gift set is wrapped with care—in a gorgeous green holiday paper—that has been handcrafted by employees in Nepal. Because of your purchase, 4,900 women earn an income making those Certified Wildlife-Friendly gift boxes that help protect 34,000 acres of forest, and preserve the homes of 21 endangered species. There’s a set for everyone on your list. Gift your best friend The Gift of Great Style ($60) so her hair is always ready for whatever is thrown her way. (Trust us—she’ll thank you.) For the teacher who never puts herself first, give Make Her Smile ($19.50). And for that friend who you know will pop up in a last-minute moment of gratitude, grab an extra Gift of Comfort ($49). You’ll thank yourself later. These popular gift sets don’t last long. For more details or to purchase your gift sets, stop by or call Thirty Hair Salon at (410) 381-7070.